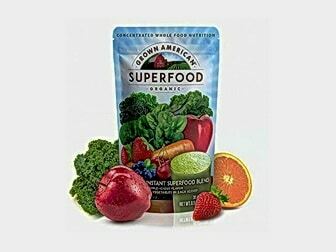 This detailed review of Grown American Superfood covers the full ingredients list, the best and worst additions in this organic green powder, directions, side effects, cost per serving and where to buy it without signing up for auto-shipping. Also ahead is pros and cons, company information, customer complaints, if Grown American Superfood is a scam, what to watch out for and whether it is worth the price compared to its competitors. What Is Grown American Superfood? Grown American Superfood is a powdered health supplement made from over 30 USDA certified organic fruits, vegetables and sprouts. You can see it here in this 11.2 ounce resealable packet on Amazon with 30 servings of 8 grams. Many people appear to be confused by the proper name of this product, with online searchers looking for ‘American Grown Superfood ‘, ‘Grown in America Superfoods’ and even ‘Great American Superfood’. The correct name though is ‘Grown American Superfood’ and it is produced by Van Drunen Farms, who have their corporate headquarters at 300 West 6th St, Momence, IL in the United States. The company state on their website that all of the ingredients used in this superfood powder are organically produced in the USA and certified to be free of pesticides and other toxins. They also say that their product is vegan, gluten-free, soy-free, dairy-free and non-GMO. Grown American Superfood is heavily promoted by Dr. Kellyann Petrucci (M.S, N.D.), a well-known American naturopathic physician and nutritionist who has written best-selling books, such as ‘The Bone Broth Diet’ and appeared on television shows like Doctor Oz. While Dr. Kellyann is the face of the product, on both her own website and the slick sales page at grownamericansuperfood.com, she does not appear to have been involved in the formulation. This is unusual for a premium superfood powder like this. In most of the green powder reviews I’ve researched, a highly qualified doctor is brought in to choose ingredients for the formula, such as Dr. Sebring M.D. with the nutritionally superior yet far better value Patriot Power Greens reviewed here. While Dr. Kellyann admits to just being “approached about being the expert for Grown American Superfood’s promotional video”, rather than having involvement in the formulation of the product, that doesn’t by itself make this a bad product or a scam. Let’s have a proper look at the ingredient list and see whether this organic superfood powder is healthy and good value for money. 5 organic concentrated leafy greens: Kale, Spinach, Wheatgrass, Barley Grass, Alfalfa Grass. 6 organic vegetables: Broccoli, Celery, Brussel Sprouts, Carrot, Green Bell Pepper, Pumpkin. 12 organic sprouts: Amaranth Sprout, Quinoa Sprout, Millet Sprout, Buckwheat Sprout, Garbanzo Bean Sprout, Lentil Sprout, Adzuki Sprout, Flax Sprout, Sunflower Sprout, Pumpkin Sprout, Chia Sprout, Sesame Sprout. 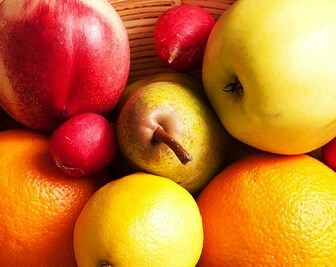 8 organic superfruits: Blueberry, Strawberry, Cranberry, Orange, Cherry, Lemon, Pear, Apple. The site states that all of these veggies, fruits and sprouts are certified organic, grown in the USA, fresh picked and gently dried to retain nutrition. Additionally, they say there is a full serving of vegetables and half a serving of fruit in each 8 gram daily dose. Nutrition facts for Grown American Superfood also shows it has 25 calories per 8 gram serve, 6 grams of total carbohydrates with 1 gram of dietary fiber, 4 grams of total sugars and 1 gram of protein. Apple, Kale, Apple Fiber, Natural Apple Flavor, Spirulina, Stevia Extract, Alfalfa Grass, Barley Grass, Wheatgrass, Brown Rice, Carrot, Orange, Brussel Sprouts, Cherry, Cranberry, Pear, Blueberry, Strawberry, Broccoli, Adzuki Sprouts, Quinoa Sprouts, Amaranth Sprouts, Buckwheat Sprouts, Chia Sprouts, Flax Sprouts, Garbanzo Sprouts, Lentil Sprouts, Millet Sprouts, Pumpkin Sprouts, Sesame Sprouts, Sunflower Sprouts, Lemon, Spinach, Pumpkin, Green Bell Pepper, Celery, Sunflower Oil, Sunflower Lecithin. This list is much more helpful because the product label should always show ingredients in order of volume, according to the accepted convention. In this way you can understand which fruits, vegetables and sprouts are used most and which have much smaller amounts by comparison. I personally think it’s poor for both the Van Drunen Farms website and their Amazon listing to not clearly show all ingredients in this conventional format. Fortunately, since you’ve found this Grown American Superfood review, you have the necessary ingredient information before you decide whether to buy this product. Regular customers are given much less detail prior to being asked to make a purchase. Having all the fruits, vegetables and sprouts in this superfood powder certified organic and produced in America is the biggest plus I can see for this product. While many powdered greens use some organic ingredients, I can’t recall reviewing another one where every addition had USDA certification. High up on the ingredients list, the most nutritionally beneficial superfoods are kale, spirulina, barley grass and wheatgrass. Further down, blueberry, broccoli and the various sprouts are all very healthy, though there’s a question as to how much of them the product actually contains. As for the worst ingredients, the last two listed are sunflower oil and sunflower lecithin, both of which some people want to avoid for their high omega-6 fat content and other issues with processing and not being natural. While sunflower is listed as an ingredient, it is only as ‘sunflower sprout’ on the company website and Amazon page. Not listing the addition of highly processed sunflower oil and lecithin, even if in small amounts, could be considered deceptive by some people. 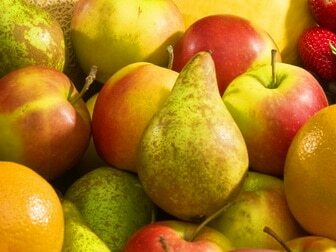 Other ingredients like apple, apple fiber and brown rice are high up in the ingredients list, yet not particularly high in nutrients compared to those lower down on the label. Additionally, ‘natural apple flavor’ and ‘stevia extract’, while much better than added sugar, are sweeteners that appear quite early on in the nutritional list so are likely in relatively large amounts. This is probably the reason why reviewers say Grown American Superfood tastes so sweet. In fact, the ‘Nutrition Facts’ label lists 4 grams of total sugars per 8 gram serving, which makes this green powder unusually, and I would suggest unnecessarily, high in sugar content. The suggested dosage for Grown American Superfood is one 8 gram scoop from the packet per day. Used at this daily dose it will last for 30 days. Dr. Kellyann’s product page suggests mixing this superfood powder in water, juice or yogurt. She also has a smoothie recipe you can add it to, though you’ll find much healthier healing smoothie recipes to use here. Grown American Superfood is promoted as non-GMO, gluten-free, soy-free and dairy-free. The company list no side effects from their product that I could find on their website or Amazon page. There are also no commonly reported negative side effects that I found in online reviews of this powdered fruit, veggies and sprouts supplement during my research. The ingredients in this green powder shouldn’t cause side effects for the vast majority of people, unless they have a known allergy to one of the foods shown in the ingredients list above. If you’d like to try this product it is available here on this Amazon listing with free shipping and lots of customer feedback. The multi packs are better value, though this is still an expensive product compared to competitors. Grown American Superfood Organic is also sometimes on eBay, though it’s not available in Walmart and other major retail stores. While the product is obviously available on the company site, I’d recommend being careful buying there. There are many customer complaints online from people who accidentally signed up for ‘Preferred Member Enrollment’ and found it difficult to cancel ongoing payments. This automatic shipping seems to be a requirement for the 14-day free trial and advertised discount so beware if you don’t want this. Taking the retail price of Grown American Superfood from their website, currently listed as $99.90 + $8.95 shipping, you have a total cost of $108.85 for a 30 day supply. That works out at an extremely expensive $3.62 per daily dose, making Grown American Superfood the worst value green powder per serve that I’ve reviewed so far. Compare this with $0.99 per serve for the significantly better Patriot Power Greens, when you get this special bulk deal, and it’s really hard to justify this high price. It’s true that growing certified organic produce in America would be expensive, but Van Drunen Farms is a big operation and the fruits, veggies and seeds they use in this product aren’t that rare or expensive. In fact, being a specialist wholesaler to the food industry, Van Drunen Farms should be able to manufacture their product at a much lower cost than most competitors. Any way you look at it it’s difficult to justify this price point compared to other superfood powders on the market with better ingredients. Better Business Bureau currently has a B+ rating for Grown American Superfood, yet all 6 reviews listed there a one star, the lowest rating. Customer complaints appear to generally be regarding the 14-day free trial offer, with some people calling it a scam. Most complaints from customers go into detail about the difficulty in canceling their order and receiving a refund. Concerningly, some of these negative reviews also state that they were charged during the free trial and automatically sent more product than they believed they ordered. Possibly these customers made a mistake, but it seems poor customer service that the company has not responded to any of these complaints on a well known business forum like BBB, leaving some very angry ex-customers with no explanation. Amazon also has over 30 critical reviews of one star at the time of writing. Multiple customers complained about the small size of the product and the expensive price. Some reviewers also called Grown American Superfood a scam and wrote “don’t waste your money”. More positive reviews do outnumber the negative ones on Amazon though. Predominantly people mention more energy and losing weight as health benefits of taking this green superfood powder regularly. The taste also seems well received, with some describing the flavor as being like apple juice. This is not surprising with apple flavoring so high in the ingredients list and total sugars a full half by weight. Everything written in this Grown American Superfood review is just an opinion based on my detailed research and over 10 years of experience writing about superfoods. Nothing here should be taken as personal criticism of any individual or company and, of course, individual results will always vary which can often explain customer complaints. At the start of researching Grown American Superfood I was impressed that every ingredient in it is both certified organic and grown completely in America. With concerns about farming practices in countries like China, that’s clearly a big plus. Unfortunately, that’s the main and best reason I can see to choose this powdered whole food supplement compared to similar yet cheaper products like Texas Superfood covered here. The ingredients list, while undoubtedly healthy, is let down by too much apple, apple fiber and particularly apple flavoring. The various sprouts are a novel and nutritionally potent addition, but they are low on the ingredients list so it’s hard to know if there’s enough of them to make a difference. Even taking these into account, compare the antioxidant-rich ingredients of Texas Superfood here on Amazon, or even Gundry M.D. Vital Reds, and this apple heavy green powder doesn’t really stack up in my opinion. Then there is the extremely high retail price and cost per serving of Grown American Superfood to consider. I just can’t see why you wouldn’t choose the far better Patriot Power Greens reviewed in detail here, at less than a third of the price per serving when you get this special bulk deal with free shipping and bonuses. If Grown American Superfood wants to be a serious competitor in the nutritional greens market they should really look at improving their formulation, addressing customer complaints about their 14 day free trial and significantly lowering the retail price point. If you’ve never used a powdered superfood product like this before you probably would feel much better and get noticeable health benefits from using Grown American Superfood Organic regularly. However, since virtually any one of the other green powders reviewed here would provide much better value for money per serving, Grown American Superfood is not recommended due to its excessively high cost. Over 30 American grown and organic certified fruits, veggies and sprouts. Kale, spirulina, barley grass, wheatgrass and sprouted seeds are high in minerals, vitamins and other nutrition. Customer complaints with the 14-day free trial regarding overcharging, the return process, difficulty getting a refund, and stating that Grown American Superfood is a scam. 4 grams of natural sugars per 8 grams serve is too high. Very expensive retail price and cost per serving compared to other superfood powders on the market.